Afterpay. Shop Now. Take Now. Pay it in 4. Buy now, pay later in 4 interest free installments. 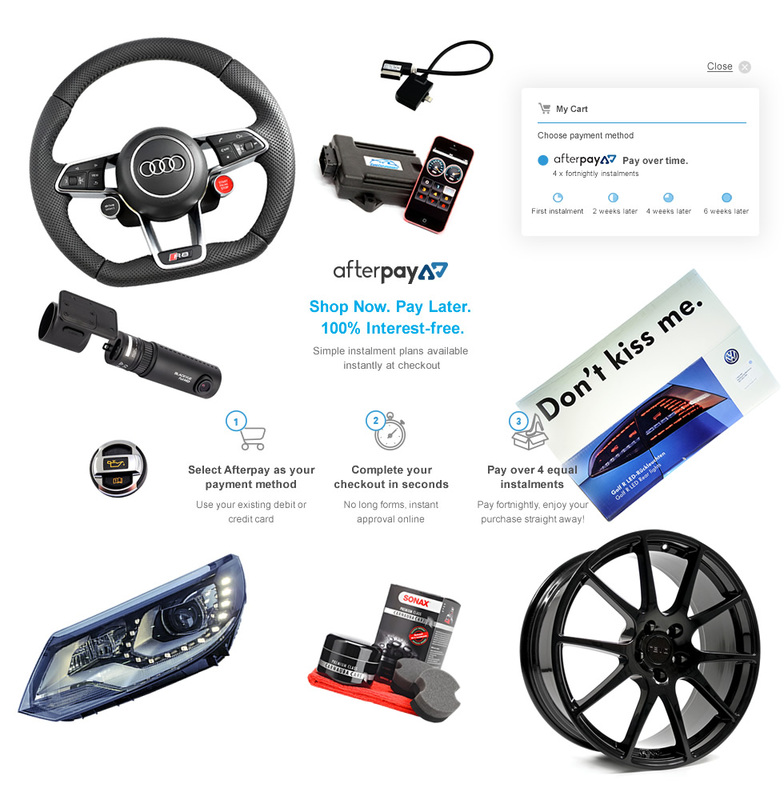 In Euro Car Upgrades store you can use Afterpay on every order from $1 to $1000, simple instalment plans are available instantly at checkout. Pay over 4 equal instalments - Pay fortnightly, enjoy your purchase straight away! You don’t have to apply for it and you will get approved straight away, with no other personal info needed. There’s no interest, no hidden fees*, all you do is pay for what you’ve bought in the easiest way possible. You will get a text message and an email to remind you when your payment is due to come out of your nominated credit card. *If you fail to have sufficient funds available for Afterpay to automatically deduct payment on due instalment dates you will be charged a late fee of $10 and if the instalment payment remains overdue, an additional $7 will be charged one week later.